If you love the game of blackjack then chances are good you’ve already become quite familiar with basic blackjack strategy. Learning the basics is the first place any player should start to get a full grasp of the rules and strategy of the game. Once you have learned and perfected the basic strategy, you can begin to build upon it with more complicated blackjack strategies. If you like basic strategy just fine thank you very much, feel free to stick with it. However if you have already encountered times in which you need slightly more than basic blackjack strategy has to offer, then you want a little more than the basics. One situation in which many intermediate level blackjack players want more than the basics is when they have a hand that contains an Ace. The Ace can be a tricky card in this game because it has a shifting value. A soft hand like this can make your day at the table complicated if you don’t know how to act. You have A2 or A3 and the dealer’s card is a 5 or 6 double down. If the dealer’s card is anything else, hit. You have an Ace with a 4 or 5 and the dealer has 4, 5, or 6 double down. If the dealer has anything else, hit. You hand is A6 or A7, and the dealer has 3, 4, 5, or 6, double down. If the dealer has any other cards, hit. If you have A8 or A9, STAY, this hand is often a winner. When you can’t double down, keep hitting until that soft hand becomes a hard one. One hand that can cause a headache if you don’t have a strategy lined up is when your cards total 12. This is tricky because you can easily go bust or end up too far away from 21 if you don’t act properly. This is where knowing the rules of the game will come in very handy. If you have a 12 and the dealer’s visible card is a 2 you should ALWAYS HIT. We already know that the dealer must keep going until he or she has at least 17 which means the odds are in your favor. How, you ask? Well it’s simple; you have 16 cards that could make you go over 21 (called “going bust”) while there are double that many cards that could give you a better hand. In plain words this means there are far more cards that can help you than hurt your hand. Always stay on a hard 17 through 21 because more decks increase your chances (and the dealer’s) of going bust. 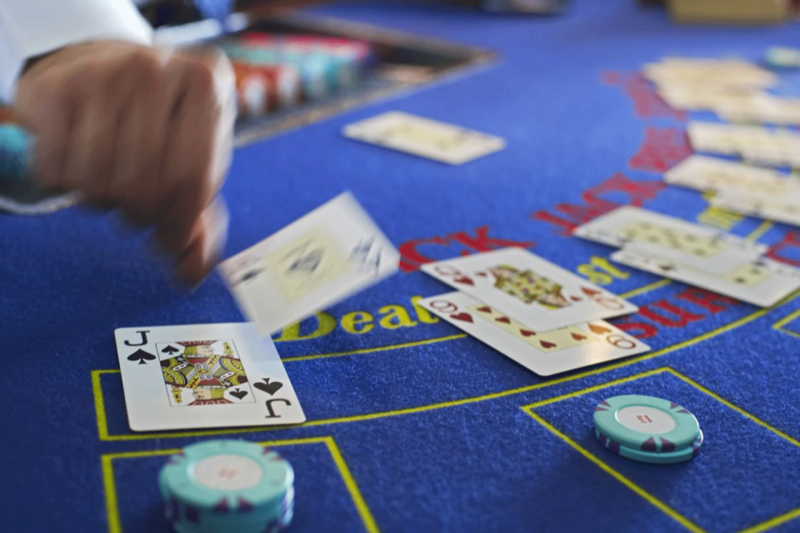 The 2 strategies mentioned above can only work when you are confident in your blackjack strategy. If you’re constantly worried about the dealer getting that 1 card that will give him a winning hand, then you’re always playing not to lose when you should be playing to win. When you play have a solid blackjack strategy that will increase your wins and minimize your losses.